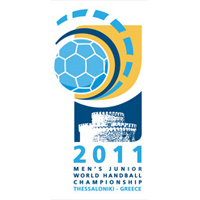 09.08.2011 - The U19 tournament will take place in Argentina from 10 to 20 August 2011. 14.07.2011 - The final tournament of the Y.A.C. event in Greece will take place from 17 to 31 July 2011. 17.04.2011 - The final tournament groups of the Y.A.C. event in Greece were drawn on 16 April 2011. 10.01.2011 - Find the 8 recently qualified nations for the Y.A.C. event in Greece.